You never lose an hour once. You lose it twice. First when the part failure originally happens. And then again, when you have to stop and replace it. If you’re using lower cost, aftermarket parts, it’s time to think about a change. There's a lot to do in a day. 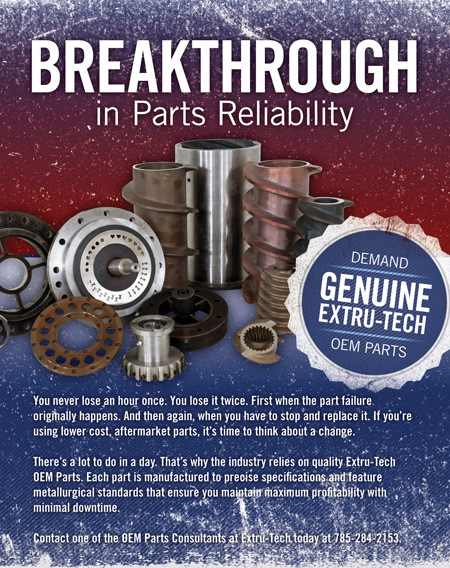 That’s why the industry relies on quality Extru-Tech OEM Parts. Each part is manufactured to precise specifications and feature metallurgical standards that ensure you maintain maximum profitability with minimal downtime. 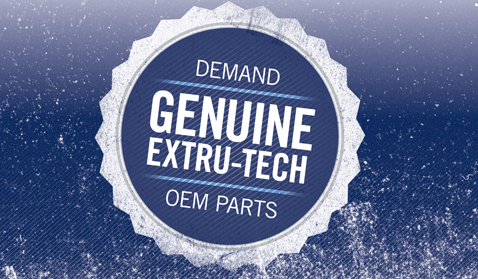 Contact us of the OEM Parts Consultants at Extru-Tech today at 785-284-2153.